With increasing user base of smart phones, digital media is becoming the most preferred mode of accessing the webs for news or any information available on the web. A digital web page can give you an edge over other news portals. 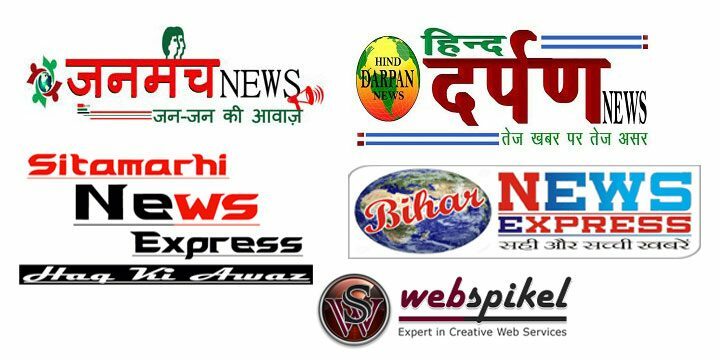 If you are looking to reach over 3.5 million eyeballs, you must go for online news portal.Many Popular news portal brand trust on webspikel Ex:- janmanchnews.com , Biharnewsexpress.com,Hinddarpannews.com,sitamarhinewsexpress.com. Webspikel offers you state of the art packages for developing online news portal in Patna. Going online not only created wider opportunities, but also establishes a brand identity for the news portal. Multiple brands are looking to reach wider network through such online news portals. What to expect from a news portal website design? Placement of Banners: This is the major click pathway which entices the user to read the info present of the news portal. Some also look for monetizing this part of website. Color Schemes: The color schemes are not much important and basic colors which can give better content visibility are more important for news portal developers in Patna, Bihar. Grid Based Design Layouts: News portal website designers in Patna can also go for grid layout. This helps in better organizing and segmenting in the website. Navigational menu: A news portal should have better navigation which can enable easy access to different news categories. * An online news portal developer in Patna offers easy access to the news matter. * News portal developers in Patna also help in minimizing the cost of reach by eliminating the printing costs. * Offers a brand identity for people who are seeking online outreach. * A news portal developer can help in proper one time customization of different heads which helps in easy classification of news items. * Real-time access to information: A well versed news portal developer in Patna can help you achieve a real time access to your news matter through online medium. * A well acquainted news website developer in Patna can help you gain better brand identity and build credibility in the news industry. People seek for information that can be easily accessible and which can be easily shared. A news portal can help you achieve and meet the quest of knowledge among the existing audience database. Best news website developer in Bihar would ensure that the news being shared is legible and accessible to online audience and also the share ability of the info is very conducive. When the popularity of the news web portal grows, one can also go for monetization approaches. ← Why Need to Re-design Your Old Website ?